Huawei owns many essential patents, meaning that it will be almost impossible to avoid using some of its technology. Australia's Huawei ban could be an expensive call. Fresh from passing a new law on foreign meddling in its politics, Canberra now looks set to block the Chinese telecom giant from working on its next-generation mobile network. There are valid concerns. But a ban carries costs too: pricier 5G, and a longer route to improved ties with the country's best export customer. The relationship is certainly going through a rocky patch, even as two-way trade hit a record $125bn (€107bn) last year. Australia has been increasingly anxious about influence in the Pacific. Back in December, Prime Minister Malcolm Turnbull cited "disturbing reports about Chinese influence", when he announced plans to ban foreign political donations and other forms of meddling. In response, there have been bitter editorials in the People's Republic and reports of wine shipments held up at customs, triggering fears exports could be targeted more broadly. A 2017 diplomatic spat between China and South Korea battered both Hyundai Motor and conglomerate Lotte Group. Politicians in Australia have been trying to row back. Trade Minister Steven Ciobo said that the new rules were not aimed at China, which may help, given Beijing's objections to being singled out last year. Still, the Huawei decision is not likely to go its way. The company denies it poses a security risk and says it is private, and owned by employees. But its ties to the Chinese Communist Party remain the subject of intense suspicion. In 2012 it was blocked from supplying the country's National Broadband Network. Growing pressure from the United States, with whom Australia is in an intelligence-sharing partnership, will not help. Huawei is right, though, to point out that the decision will have repercussions. Other 5G suppliers will likely be pricier and potentially less advanced: China has been at the forefront in the race for superfast wireless technology. 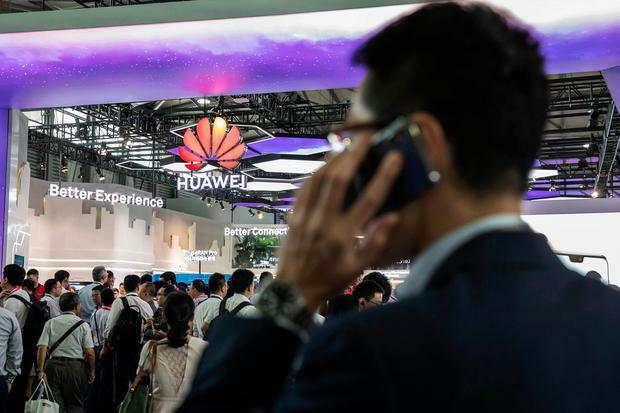 Huawei also owns many essential patents, meaning that it will be almost impossible to avoid using some of its technology. Australia will eventually patch up with China regardless - both sides need each other. But it can consider models other than Washington's hard line.